Anchor's Rest Guest House Umhlanga Rocks: The deep blue sea is calling ... can you hear it? Will you answer? The deep blue sea is calling ... can you hear it? Will you answer? The ocean calls. The rise, swell, dip and fall of each breaker – the mighty and the minute – lulls the soul and calms the senses. There's something about the sea that appeals to the deepest parts of who we are. A cosmic connection exists between the human soul and the vast ocean visible from the edge of our sandy beaches. It must be this that has called man into the waves since the dawn of time. Danger lurks, yet we find ourselves inexorably drawn into the depths. We hunt. We fish. We dive. Whether we're providing for our families, proving our prowess, or frolicking for fun, people love to play in the breakers. Umhlanga beach offers a wide variety of sea-faring fun for the adventurous ocean enthusiast. There are waves set for surfing, scuba diving opportunities, kite-boarding and microlight flips. Whale watching and dolphin viewing abounds in season. (Call 086 100 1138 to book viewing outings). The unexpectedly-named Granny's pool provides boat access to some very exciting dives. 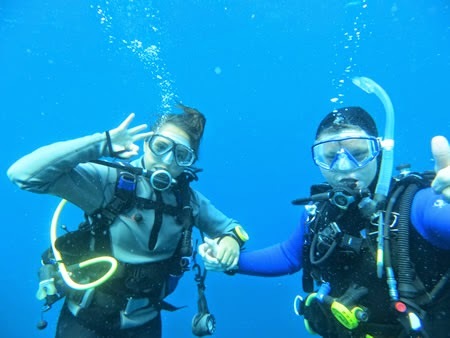 Experienced, fit divers can experience diving adventure from the beach, as well. Some of the highlights of the available dives include the Trawler (Fontao), the wreck of a ship that sank in 1990, and an artificial reef, home to a variety of fish. The wreck and surrounding reef are home to a veritable underwater wonderland of tropical fish, sea sponges and exquisite corals, and your dive skipper will be able to show you the best spots for viewing them. Call Calypso Dive and Adventure on +27 (0) 31 332 0905 or visit them online at www.calypsoushaka.co.za to book your very own ocean adventure. Or call Umhlanga Scuba on 031 564 6021; web: www.umhlangascuba.co.za. The Umhlanga coastline offers some of the finest fishing in the province, with some of the major attractions being deep-sea, rock and shore angling. Permits may be obtained by writing to the Kwazulu Natal Marine Permits Office, Private Bag X15, Congella, 4013. Contact 031-274 1150 (Commercial); 031-205 5278 (Fishing). National permits are also available from all S.A. Post Office outlets. Exploring the deep is a profound experience. At the end of the day, you'll want nothing more than an evening spent in the lap of luxury. That's just what Anchor's Rest's Strelitzia room offers you. Opening onto a balcony decked with loungers and a charming café set, the Strelitzia room offers sweeping views of Umhlanga at its best. This luxury space boasts an en suite bathroom set discretely into the wardrobe. The television is conveniently located next to the elegant dressing table, making it easy to watch from the generously-proportioned, opulent king-sized bed. Inidgenous florals and muted savannah tones give the spacious bedroom and lounge area a warm, inviting feel. A modern kitchenette provides a natural break between the sleeping and sitting areas, making your stay a comfortable home-from-home break. Beautiful jacquard-upholstered furnishings are paired with elegant plush textures and attractive artwork to create a space that rejuvenates the soul and is redolent of the shoreline you've just left after your deep sea adventures. Book your stay in the bustling heart of this seaside metropolis by visiting us online at www.AnchorsRest.co.za or call 031 561 7380. We've got your room ready for you.